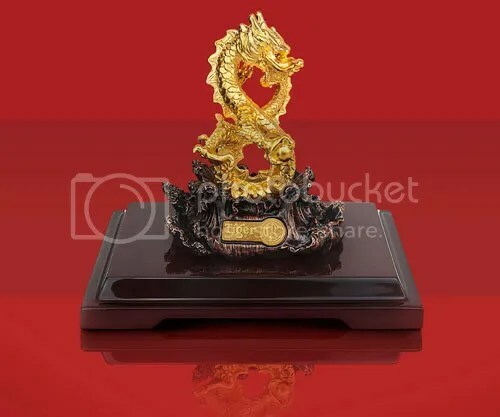 Tiger Beer Announces Your Feng Shui Ornaments For The Year Of The Dragon! TIGER BEER INTRODUCES YOUR FENG SHUI ORNAMENTS FOR THE YEAR OF THE DRAGON! To usher in the Lunar New Year, Tiger Beer Singapore will offer consumers the chance to enhance their prosperity levels in the Year of the Dragon with two specially-created ornaments. Named the “Tiger Auspicious Dragon” and the “Tiger Prosperity Dragon”, both ornaments were designed and created by Tiger Beer in collaboration with RISIS and geomancer Grand Master Phang of New Trend Lifestyle. The ornaments have been created to help with the accumulation of positive energy bestowed by the Dragon which is traditionally considered as an eternal symbol of good fortune. 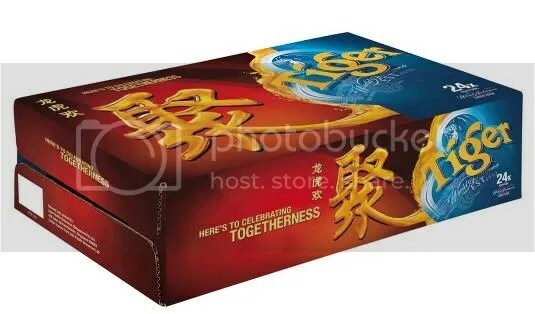 Additionally, the ornaments have been designed to improve the relationship quantum level of its owners which is in line with the brand’s theme of 聚 (togetherness)for the celebration of the upcoming festive season. 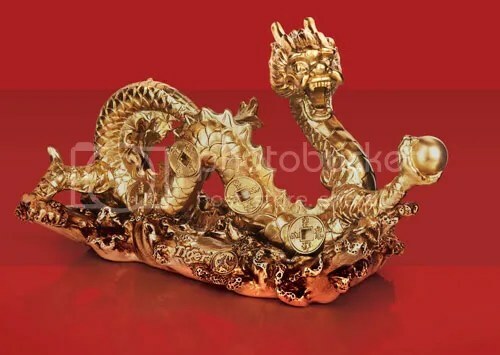 The “Tiger Auspicious Dragon” is crafted from twenty-eight grams of (999.9 karat) gold, complemented by a copper finished base of swirling waves and a rich golden hue which comes from RISIS’ distinct twenty-four karat gold formulation. The ornament comprises a dragon, dragon beads, a sea of clouds and ingots which together represent good fortune, wealth, joy and elegance. From 12th December 2011 to 07th February 2012, eighty-eight (88) pieces of the “Tiger Auspicious Dragon” will be given to lucky consumers who have uncovered “Top Prize” crown liners of the 663ml Tiger Beer bottle. This promotion is only open to 663ml Tiger Beer bottles sold at all major coffee shops and hawker centres. The “Tiger Prosperity Dragon”, made of resin, is designed with a dragon bead that attracts positive energy, brings prosperity into the household and promotes good health. The ornament also serves as a lucky bead that improves the harmony between family and friends in the Year of the Dragon. From 26th December 2011 to 07th February 2012, one complimentary “Tiger Prosperity Dragon” will be given to consumers who purchase three (3) Tiger Beer 24-can packs during Lunar New Year road shows held at all major supermarkets. This promotion is subject to stock availability.